Spring has been kind to New York film lovers. Over the past few weeks, three heavyweights of the 2010 festival circuit have hit our theaters: Uncle Boonmee Who Can Recall His Past Lives, Certified Copy, and Meek’s Cutoff. I’ve seen the three. I’ll discuss the three. Let’s start with Meek’s Cutoff, which began its US theatrical run here on April 8. Meek’s Cutoff is the third major feature from Kelly Reichardt, a director whose previous film, Wendy and Lucy, ranks among my favorites from the 2000s. Her newest movie represents a slight departure from the neo-neo realist style with which critics associate her. By that I mean: It’s a slow-burning western set in Oregon, not a slow-burning contemporary drama set in Oregon. The movie concerns a group of pioneers — three married couples and the x-factor Meek — as they travel westward in 1845. The married couples hope to cross the Cascade Mountains and start anew in Oregon. They’ve hired Meek to guide them across the arid terrain. As their journey continues, the couples must decide just how much authority they should afford Meek, a cocksure ruffian who bears more than a passing resemblance to Yosemite Sam. Thanks to Apple, a couple researchers, and this application. The birthers are back. Or were they ever really gone? Regardless, I’d like to share a video I helped make in 2009, when the birthers were an easy-to-mock fringe group. I wonder: When will this phenomenon stop being funny and start being really, really scary? 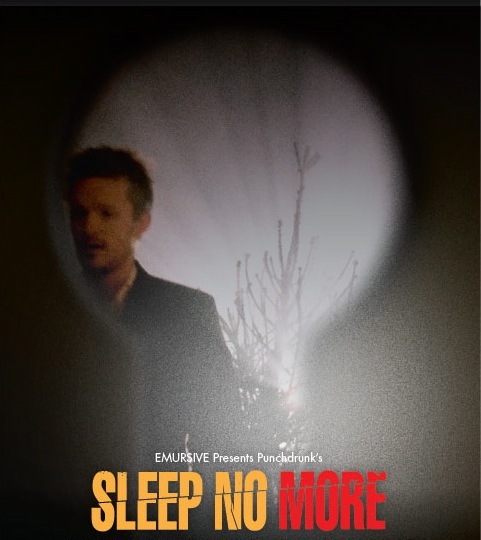 I experienced Sleep No More cold. You should too. So if you think you’ll ever have the (off) chance of catching this monumental New York City production, you should stop reading after the first few paragraphs. You can also expect a few minor spoilers for Mulholland Dr. and Vertigo.